Today’s podcast episode is going to cover the ripple effect that supplier diversity opportunities can have on ​your​ business, whether or you are part of the LGBT community or an ally to the LGBT community. It doesn’t matter if you are a diverse supplier or if you are selling to corporate – no matter what your business there is a world of opportunities that you are probably overlooking completely! Who doesn’t want access to new opportunities to expand and grow your business? I don’t think many people would say no to that. Today’s episode will talk about all of the ways your business can benefit and grow as a result of these opportunities. You don’t want to miss it. 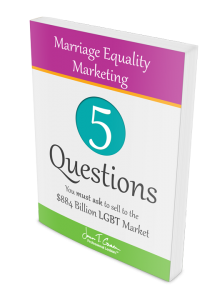 You are listening to the Gay Business and Marketing Made Easy Podcast, Episode 56. Hello and welcome to episode number 56 of the Gay Business and Marketing Made Easy Podcast. I am your host, Jenn Grace. And today I have a fairly meaty episode for you. So I want to talk about supplier diversity. Yes, again it’s that phrase that you keep hearing me talk about but you may or may not know how that actually relates to your business. So I want you to from the get-go, basically understand that when I’m talking about supplier diversity, my mentality around it is that everybody has an opportunity, even if you’re not someone of any type of diversity. But I guarantee you probably are, you just don’t know it. So that’s going to be today’s episode, but of course before we get into the actual meat of the episode, I want to just talk about three particular things. So the first of those three things is that I am looking for additional guests to feature on this podcast. So I have a pretty large network of people that I can go to and ask if they want to be on the show, and I personal just enjoy interviewing people that I somehow get along with, or somehow I see some sort of synergy between what they do and what I want to talk about here on the podcast. But I actually want to hear from you, and who you think should be on the show. I’ve been inviting people based on my own personal preferences, but at the end of the day, you’re the ones listening to the show and I have a continuously increasing amount of listeners, and I want to know what you want to hear. So if you yourself would like to nominate yourself to be on the show, or you have a client or a colleague, a friend, a partner, spouse; whomever it happens to be that you think would be a good fit for this podcast, please let me know. I would love to hear from you. So you can do so by going to my website, going the Contact Me page, sending me an email that way and then I will get back to you and we’ll see if it’s a good fit. So that is item number one. And item number two is that I am still accepting new coaching clients. I’ve been talking about it for- I don’t even know, a couple of months maybe now, that I have been increasing the amount of coaching clients that I’m taking on. I only have five spots remaining at this point, so if you would like to be one of those five, please feel free to reach out to me on that. 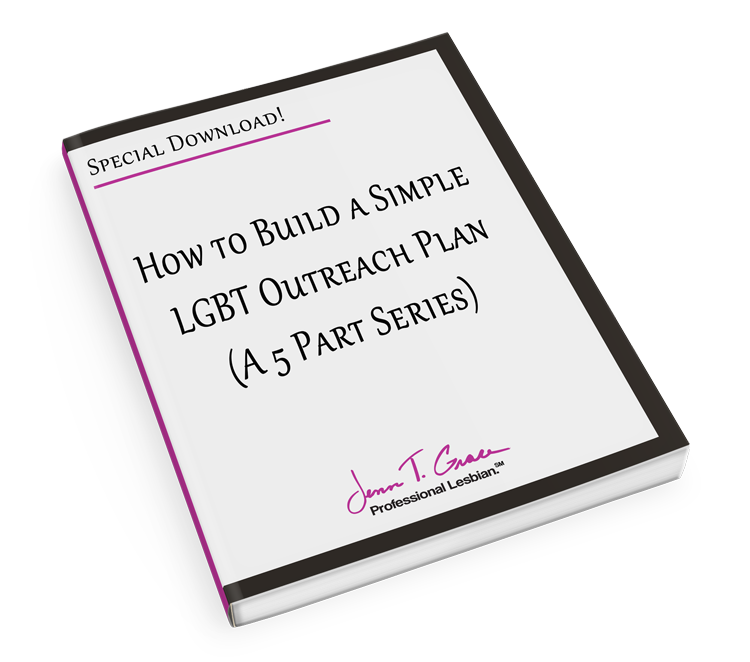 I do work with a wide range of people, but my particular passion where I feel like I bring the most to the table is around working with authors and speakers who are building their personal brands around some particular LGBT related topic. So I do work with a wide variety of other types of businesses, but really this is where I just love, love, love talking with other authors, talking with other speakers, and just figuring out how we can collectively get the message out there to LGBT broadly, to the allied community, to LGBT youth; to basically share these empowering messages from all of these different LGBT people on you know, what the impact is to the economy, to the business environment, all that kind of great stuff. That’s where I just personally love, love, love to be. So if you would like to just have a conversation about it, let me know because I would love to talk with you. And I do have a scheduling tool that I use to schedule phone calls with people. But I just recently made it even easier for you. So if you do want to set up a call with me, all you need to do is go to www.MeetWithJenn.com and voila. Pick a time that works for you, and just run with it and then we’ll have a conversation and see if we are a good fit together. Just make sure that when you do send that over to me, that you are putting in the notes that you want to have a conversation about coaching. And then you know, we can have a 30-minute call just to see if we’re a right fit for one another and then see what happens from there. So that was number two. And now number three. Number three is going to only apply to some of you listening. I am looking to hear from people who are financial advisors, some sort of investment people, insurance agent; anyone kind of in that financial services field. I need to talk to you. I have a lot of clients who are already in this space, but I’m looking to talk to about twenty people for a particular focus group that I am trying to establish. So if you are a financial advisor or an insurance agent, you could be part of the LGBT community, you could be an ally to the LGBT community, that does not matter in the least. I really just want to talk to people in this particular industry. And I’m looking for about twenty, and I know for a fact that there are more than twenty of you listening, so it might end up being kind of like first come, first serve thing. Or honestly if I end up getting forty of you, or fifty of you instead, I will somehow try to find a way to incorporate what I’m doing with you as well. And of course it all depends on if it’s a good match and all those fun things. So anyway, yes. So number one, if you know somebody that should be on the podcast, let me know. Number two, I have five coaching spots remaining if you’d like to get in touch about potentially working with me, go to the website. And number three, if you are a financial advisor or an insurance agent of some kind, please reach out to me. So those are my three things at the top of this episode, and if you don’t want to remember this or pay any attention to it, all of this is listed in the show notes for today’s episode which you can get by going to www.JennTGrace.com/56 for episode number 56. And yeah, so that’s basically my couple of announcements. So now, let’s just dive into today’s topic. And as I mentioned kind of right in the beginning intro, I want to talk about supplier diversity. And I want the LGBT allies listening to this to pay very particular and close attention to the information I’m going to share with you today. 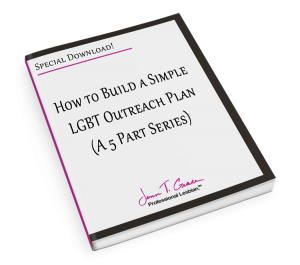 Because I really want to convey the message that just because you are not an LGBT-owned business, does not mean that you don’t have a sea of opportunities available to you, because of your relationships with LGBT business owners. So a lot of times people will hear this whole thing about supplier diversity and really have absolutely no idea what it is, or they have some misconception that it’s only something available to people who are selling to Corporate America. Or you have to be LGBT or you have to be a minority group to have some sort of access or some sort of positive benefit as a result of this. And some of that’s true, some of that’s not. So what I want to do today, is I do want to share with you an interview that I just recently did, it was a TV interview here on a local station in Connecticut, and I did it in conjunction with a business owner friend of mine, Rick Callahan, who own an advertising agency called Krative. And with a dear friend, Sam McClure of the National Gay and Lesbian Chamber of Commerce who has been a guest on the show previously, and I actually would love to see if I can get her to be next month’s guest- or I would love to see if I can get her on for episode 57. So there’s no promises on that, but I think that she would make a good secondary follow-up to this podcast with some additional information. So the whole idea of supplier diversity, it’s really just the idea of finding ways of opportunity for typically or traditionally disenfranchised groups of people. So people of any type of ethnic minority, someone who’s a woman, someone with a disability, veterans, service disabled veterans, et cetera. So- and there are even additional opportunities for people who are in HUB zones for example. So there’s a lot of different ways that you can be a diverse supplier, but there are a lot of ways that you are not eligible to be a diverse supplier. And people who are real estate professionals, for example, unfortunately you can’t be a diverse supplier because you don’t have the right legal structure to do so. Additionally people who are financial advisors and insurance agents, most of the time you can’t be a diverse supplier either. But just because you can’t be a diverse supplier certainly by no means does not mean that you cannot take advantage and leverage the hell out of those around you who are diverse suppliers. So the format of today’s episode is going to be that I’m going to first share with you this 22-minute TV segment that I did with Rick and Sam on The Hour with Jim Pellegrino, and Jim Pellegrino is the local television host. And we really kind of do a- kind of a deep dive of what supplier diversity is, and since he has a little bit of a background in supplier diversity and in procurement, he asks some really good, pointed questions. So I want you to hear that first, and then once that is over I’m going to come back on the air and I want to give you an example of how essentially your business can fit into this whole concept of supplier diversity; whether you’re ally-owned, LGBT-owned, or have any other way of being considered a diverse supplier. Or if you are a realtor or a financial advisor, or somebody who can’t be a diverse supplier, I want to show you the cascading effect of supplier diversity and when basically an LGBT business owner wins a big contract, everybody wins; and that includes you. So I’m going to zip it for now and have you listen to this wonderful interview with Jim, and then when we come back I’m going to share with you just basically the ways that you can take advantage of this. So hang tight, have a listen, and I will be back in 22 minutes. Hello this is Jim Pellegrino, your host for the hour. We have a very special panel and I’d like to introduce you to my guests. To my left is Jenn Grace who’s the vice president of the Connecticut Gay and Lesbian Chamber of Commerce. Jenn is also an author, blogger, podcaster and speaker. Every time I see Jenn, we come up with a new book. Can you see that? Can you see those books? One is entitled, ‘But You Don’t Look Gay,’ and the other is entitled, ‘No Wait, You Do Look Gay.’ So here’s Jenn’s- you’ve only got two books out, or do you got more? I’m working on a third. She’s working on a third. So this is like being on Oprah, you know Jenn. When you hold a book up on Oprah you get like millions of requests. Maybe not quite that many in the hour, but we’re working at it. Jenn is a second time guest for us. Next, Sam McClure. Sam is the LGBT Chambers of Commerce Worldwide VP affiliate and external relations; very impressive, Sam. It’s an honor to be here. You’re quite- and you came in from Washington DC. Everything happens in Washington D.C.
That’s what they say. And Rick Callahan who is the founder and CEO of Krative Brand Strategies, a full service marketing and branding agency. Rick, welcome to the show. Welcome to the three of you to the show. So first of all, definition. Because I use the acronym LGBT, for the audience’s benefit for those who do not know the acronym, it stands for Lesbian, Gay, Bisexual and Transgender. So our topic today is going to be on supplier diversity which is Corporate America specifically looking to procure business from the LGB-owned business area. So let’s start with some conversation on a personal experience that I had. Because when we’re talking about diversity and corporate buying from the LGBT community, part of my background is as a former vice president of procurement and operations for the Textron Corporation where I had 3,000 active suppliers. So I’m very familiar with corporate diversity and all the programs that go along with it. So there was an article written way back at the beginning of this year, and the article said, ‘LGBT-owned businesses to get boost,’ and it indicated that federal agencies, organizations such as the NFL, and more than one third of Fortune 500 companies are now trying to expand their vendor pools by explicitly encouraging bids from gay, lesbian and transgender contractors. Of course before, many corporations have had outreach in supplier diversity programs for racial minorities, women and disabled veterans. So from my point of view, for the three of you, I wanted to get how you felt about that. From my point of view and my background, as a vice president of procurement in a very major corporation, and as I said with 3,000 active suppliers. Whenever I travelled my 200,000 miles a year and met with anyone who was doing business with my corporation, here’s what I thought. I went out there with the intention of finding suppliers and vendors that could give me the price that we negotiated, that could get the thing delivered on time, and would be good quality. If they happened to be a woman, if they happened to be a minority, if they happened to be gay or lesbian, or they happened to be a disabled service veteran, fine. But my principle focus was on performance. You say, Sam? I say wow, sounds like you were amazing at your job. Of course that should be your principle focus. You know, in that procurement space, it’s always going to be the best bid that takes the business. And that is absolutely how it should be, and there’s nothing that we want to do that wants to change that. That great article that you found, which I’m very proud of that article, it ran in hundreds of thousands of markets because it was picked up by the AP. What we’re referring to is the creation of the certification that identifies LGBT-owned businesses just as we have for minority and women and others. And the idea is to get them to the table to make that bid. I want procurement professionals like yourself to actually have the widest and most diverse pool of candidates to choose from. I think competition is really good in those situations. Sometimes the most innovative solution is going to come from a new player who’s coming to the table. And at the heart of supplier diversity, where the trends are now, that’s what it’s about. It’s about getting the most diverse pool of contractors to bid. And they may bring the most innovative solution, and if they don’t they’re not going to win the business. But we know if we can get them to the table for opportunities, they’re going to compete and they’re going to win business, and they’re going to serve companies like the one you worked for very well. So how- the next logical question would be what is the National Gay and Lesbian Chamber of Commerce? And how does it serve your community and how is it going to help be- I guess, a conduit to the Corporate America? Well actually I love that short description, I might steal that and use it sometime, that’s really good. The National Gay and Lesbian Chamber of Commerce is a global organization whose sole mission is the economic advancement of the LGBT business owner. We created LGBT supplier diversity with the intent of making sure that those LGBT businesses could get access to those amazing opportunities in corporate supply chains, municipal procurement opportunities, government contracting opportunities. What we created was a business certification, so that folks like yourself in procurement could identify, yes indeed this is a certified business. We know that this is a business that may or may not have had opportunities before. And if you do choose to do business with one of them, because they gave you the winning bid, the companies that are actively working in supplier diversity will record that spend so that they can have a meaningful record of what kind of investment they are giving back to all diverse communities. Okay, so do we have like two different people here? Because I know Jenn is a successful entrepreneur, right? However you have just started your business, right? You’re an entrepreneur but you are also a small business. Okay so Jenn first, and then yourself, Rick. Explain to me how- what it was that Sam said, how you interface with this organization. Because you’re vice president of the Connecticut? Yes. So Sam- if you take nothing from what she said other than this one word, is access. That is entirely it. So because of my relationship with the NGLCC and my ability to say that I’m a certified business, I have access to hundreds and hundreds of LGBT-owned businesses across the country, additionally here in Connecticut, and then to those corporate partners. So they have 140 corporate partners I believe is the current number, and just going back to what you had said in the beginning of you’re looking for the person who’s going to give you the best result, right? That’s all you cared about as a procurement person. Okay I want to make sure that I understand Jenn, how do you get- what’s the relationship between the corporate vice president, right? And the LGBT Chamber of Commerce, and you the individual? How- do they provide access for you? Explain to me how that works. So they do that formally, and they do that very informally. Okay and how about for you? So as far as my experience, I don’t know as much on your end how it all works, but I actually found the local chamber, the CTGLC and noticed if there was this certification I could go through, and it gives me access- actually I brought one today to show you. Hold that up, hold that up right quick for the camera right there. So that’s your certification? And that was awarded to you by whom, Rick? This comes from the NGLCC but I do work with the local- the state chamber to actually go through the process. Okay. So you were saying that- what did you have to do to earn that? Well that was actually a big concern of mine going into this. I wasn’t sure, how do I prove that I’m a gay business owner. But it’s a lot like an RFP process; going out to bid and basically filling out forms and really just making sure I follow steps one through ten, providing some documentation and then there’s an interview process as well with the local chamber. Someone came out to my office to make sure I’m in business and legit, and you know, I got some good news afterwards that I was certified and I was ready to jump in. And how has it worked out for you? But I haven’t gone yet. So I’ve very new to the certification. And you’re normally from Connecticut, right? Okay so you’re principal business is the marketing and the branding, right? Communicative? You know what we see with business owners that gain the certification, you know ultimately if you’re looking at the growth of a business as a journey, grabbing this process and getting a certification is a first step. And it helps you gain access to many of these opportunities, particularly through supplier diversity as you mentioned from the article, over a third of the Fortune 500 recognizes this certification and is actively seeking these suppliers. So you know, now Krative, this business has taken a step. Now they’re in our database, they can be found by supplier diversity and procurement professionals that are looking for their services. And they may also find- and actually these two businesses are great examples of companies that are going to find a lot of opportunity doing business with other diverse suppliers. Perhaps as prime contractors to corporations, but more likely as subcontractors. So diverse businesses working with each other. 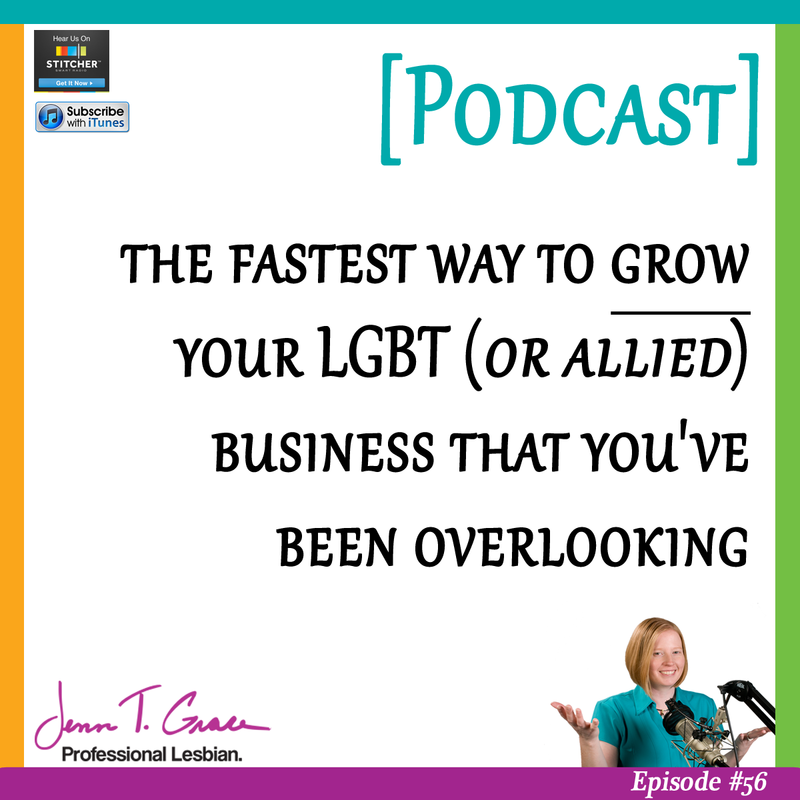 I know Jenn’s story very well because we go back quite a long ways, and she has many clients that are other certified LGBT business enterprises, and we see this is in all diverse communities. These small business work with each other to create opportunities for each other, and elevate entire communities. You were going to say something before I think, and I went back to Rick. Do you remember what you-? I was but I don’t know if it’s relevant, but all I was going to say is you were talking about what does it actually take to become a certified business, and it’s being owned, managed, operated and controlled by 51% of a majority of whatever that group is. So in this case we’re talking about LGBT. So you have to own the company, operate it, manage it and control it. And that is what is the big thing to be able to prove in order to be certified. So why is the connection that has been made between the LGBT Chamber of Commerce, Corporate America and the individual business person; why is that important to the growth opportunities to the small and medium sized businesses? Go ahead, go right ahead. From my perspective you know I am a smaller business, I have a few employees, right? And when I realized that I can gain access to these large corporate partners, that was amazing to me. I thought that was a great opportunity. And then realizing not too long after that I can actually partner with people like Jenn and other LGBT BE enterprises; there’s a huge pool of opportunity of growth and collaboration, and I think that that’s great for the economy. But you know what, even though the process is in place, Rick you have to be comfortable with networking. You have to be comfortable with networking. People who are comfortable with networking, and are skilled at networking, can be very, very productive and advance themself exponentially, than if you try to go out on your own. That’s some good advice. I mean for businesses broadly, and that’s a major pillar to what we do as a national chamber. You know we do an international business and leadership conference every year, it’s coming up this year in beautiful Fort Lauderdale in August. And one of the things we do for our certified LGBT BE’s is we create a full day of matchmaker meetings for them, customized to fit exactly what their business growth strategy is, to matchmake them with folks like yourself in your previous role; buyers, procurement professionals, supplier diversity professionals. So you know this guy could get twenty minutes of face time within IBM. Or in Aetna, right around the corner. Yeah, it’s interesting you say that Sam, because there’s another part of my life that helps people be comfortable with and become an expert at networking. And what happens to a lot of people is they can go to a chamber meeting, they can go to- you can go anyplace where there’s a group of people where you’re supposed to network, and walking through that door is one thing, but knowing what you’re doing once you’re in that room is something different. And having the skills to be able to network effectively, because quite frankly I’m not going to give Jenn a half hour. I may have five to ten minutes and that’s all it’s going to be, and during that period of time she’s going to have to optimize her time with me and people need to be taught that. Go ahead. One thing I would add is that there are a lot of people who aren’t comfortable with networking, it’s not a natural skill for many people. But I feel like when it comes to- and this is probably true for all certifications, I just happen to be very fond of the LGBT one, is that because I’m an LGBT certified business I can reach out to any other LGBT certified business and just say, “Hey, you’re in Seattle. I’m in Connecticut. I see some synergy here, do you want to have a conversation?” And they’re going to answer their phone and they’re going to respond because we share that certification and we share that wanting to grow. You know what, Jenn? That is so true. And the analogy to that would be any organization that you belong to, or school that you belong to, or venture that you’ve done; you know anybody who went to, let’s say Yale, can pick up that phone and say, “Yale,” and you don’t have to say anything more. Anybody who went to, or who was in the United States Army can do the same thing. Anybody who was in the theatre and had- that was common with people. So there’s no reason why your organization can’t provide the same kind of link that as soon as they pick up that phone and hear, ‘LGBT Chamber of Commerce,’ I’ll say to myself, ‘You know what-‘ and I’ve got one of those certifications, it’s going to open doors for me. So tell me personally- because I think we’re already more than halfway through. What have been your personal, individual experiences both good and bad- don’t make it too long now, with being an LGBT business person? You know, for me personally I don’t think I’ve experienced much negative at this point, and that’s great to say. You know this is all new to me for the certification, so I’m ready to jump in and I’m willing to see what happens. I’m ready for the opportunity. I actually can echo Rick a little bit and say that I’ve faced very little negative in terms of what I do and I’ve been in the LGBT business space since 2006-2007. So in all of that time, it’s very rare that I come up against any type of discrimination or anything like that. You made- if I remember correctly Jennifer, in the first time we got together, you made a conscious decision, you were working in a business environment. Yes. And that was riddled with discrimination which is different. So I actually started my business to get out of an environment that was not comfortable for me. As many LGBT entrepreneurs do. And struck out on your own and you’ve been very successful doing it. You’re on the tip of the diving board right now, right? And Sam is a prominent national figure in terms of everything that she’s done. So listen, we’ve got about five minutes left. I knew this was going to fly by. Can I add just one thing to that last point? See let me ask you a personal question about that. As a gay or lesbian person? I mean is it overt, covert? Both? It’s both? Okay. I was just curious. And the problem is- now in a state like Connecticut there’s good protections but there’s no federal protection, so in many cases there’s no recourse in a situation like that. And right now we’re in a political climate where you know, all kinds of bills are being introduced to sort of reinforce this religious freedom concept, which is being used to marginalize people in the workforce. And I’m just really proud that we’ve got two entrepreneurs that are working in this space that we’ve created with our advocacy where it is a level playing field for the LGBT entrepreneur, and they can move forward with their businesses and grow even in that still strained environment. We’ve got about three minutes left. How old is the organization? The national organization Chamber of Commerce of LGBT? We’re in our thirteenth year this year. And the certification was founded, or was created, in 2002. So yeah, it’s still a relatively young organization, it’s still quite a revolutionary concept. I read somewhere, Sam, that there were 36 chambers in the United States of America, and I think the number- I remember it was something like fourteen or fifteen or sixteen overseas. Yeah, we’re up to 39 local US affiliates now, and we have our overseas affiliates as well. We’re doing international advocacy work for the economic advancement with a particular focus in South America. We’ve taken two fully sanctioned US trade missions just for certified LGBT entrepreneurs, and we’ve helped found other national chambers of commerce in Mexico, Columbia, and now we’re working in Peru. So you can pick up the phone internationally if you have to. Trade. They’ve got to do it, right? 95% of the customers are in the US. I have a call with Argentina next week, actually. Because of this. Oh, that’s great. Listen we’ve got about two minutes left. So my final question to the three of you would be individually. If it were a year- and I’ll use you first, because you’re the guy that’s standing on the tip of the board, right? So I’ll use you. If it were a year from now, what would- and you were back on the show, which I hope you guys will be. If it were a year from now- actually we’ve got two minutes left. What would you be saying to me in terms of progress, Rick? I think I’d be saying this opportunity has been amazing that I’ve been able to connect to so many people, especially people like Jenn. Like we actually talked right before going on here, about possibly working together on a few projects. And just having these doors opened has been amazing. So your prognosis is good? My friend, Jenn, what’s your prognosis? It will be fantastic. It always is. I feel like I’m always able to kind of shift and adapt my business model based on the great people that I’m meeting on a regular basis. So the sky is the limit. Do you find other people from other states and other countries that you guys work with feel the same way? Very positive about the future, et cetera? That’s my general experience. Sometimes I think I live in a bubble though, but I think generally it’s a positive thing. Okay, you’ve got about thirty seconds left, Sam. You know I’d say in a year from now the greatest compliment to me would be to hear this same kind of positive outlook from other LGBT entrepreneurs. At the end of the day, that’s what we came here to do. Level the playing field and let these entrepreneurs do what they know how to do, grow their businesses and create jobs and build strong economies across the country. I think that’s excellent and I would add my editorial remark would be to any group- any specific group that the corporation is trying to work diversity with, that as long as- whatever group it is, has its optimization focus on schedule, cost and quality, everything is going to be okay. And I wound up with the last word. Rick, good to meet you. Thank you very much. Very nice to meet you. Sam, good to meet you. My friend Jenn, good to have you back. We’ll be back with our next guest. Alright, it is me again. I’m hoping that you enjoyed that conversation around supplier diversity. And I hope that you were able to get a better understanding of what supplier diversity actually is. One of the things that I don’t think was emphasized nearly enough in this interview is the fact that everybody truly can win from an opportunity that’s received by any, any minority group, or any minority business owner. So one of the things that came up in the interview was the fact that folks like Rick and I, for example, are able to team up and collaborate and take advantage of these opportunities as similar businesses that do different things but can really work in tandem together. 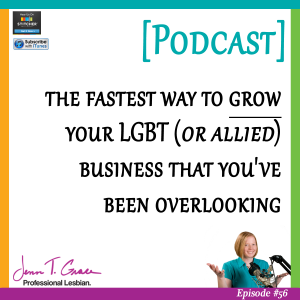 So I know that I personally love reaching out and connecting with other LGBT business owners, but I certainly know probably more allied business owners than I do LGBT. So it’s really a matter of being able to broaden your network, make it really as big and as expansive as possible, and really team up, partner and connect with people that makes sense for your business and for the particular client you’re working with, with a potential client that you might be working with, et cetera. So one of the things that I really want to emphasize- and this is what I want you to have as a take-away. Is if I were to get a very large contract with a corporation, not only do I win as that prime supplier which is one of the technical terms, and it’s basically a tier one supplier. So I might be contracting with a very large company, and now I’m that first rung down if you’re looking at it in kind of like a pyramid; I’m at the top of the pyramid. And as a result of me being at the top of the pyramid, a lot of people below all are going to benefit from that increased contract that I might have. So what I’d like to do is attempt to share this example, just using audio without an actual visual, and hope that it makes enough sense that you understand it. And of course if it doesn’t, please feel free to reach out to me and say, “Jenn you totally messed that up. Did not make any sense.” I’m hoping that it does, though. So let’s use my friend Monica, for example. She owns a promotional products company- and this is a real person. So Monica- she’s a screen printing company, and also sells promotional products. So let’s just imagine for a second that Monica got a $1 million contract from a Fortune 500 company. And let’s for a minute say that maybe her business made $200,000 annually, and I honestly have no idea what she makes, but let’s just use that as an example, right? So she has a $200,000 business. And now suddenly she just picked up a $1 million contract. That million dollar contract is five times the size of what she’s currently doing in her business. Which is a hefty, hefty increase in not just revenue, but an increase in expenses. And additionally she’s going to have to expand her operation significantly in order to fill this really large contract. So Monica is the tier one supplier; the prime supplier. The person who is liaising directly with this corporation who has just paid her $1 million for promotional products and probably a boat load of screen printing. Now let’s think about her. If she has a business that’s about $200,000 which is a great, healthy business, but now she has to fill this contract for $1 million. What does she have to do? She has to do a lot of things. Number one, it’s pretty likely that she’s going to have to expand her operation in the sense that she might need a bigger space, so she happens to have a manufacturing space so she probably is going to have to increase it. So in order to find new manufacturing space, she’s going to have to find a real estate person. So she’s going to have to find a real estate professional who focuses on commercial. So there’s one person that she now is giving business to because she needs a bigger space. Additionally there’s probably a good amount of paperwork that’s going to have to be drawn up to increase her manufacturing size. So it’s likely that she’s going to need an attorney; so now we’re at two. My guess is that now that she has this really large contract, she’s going to have to be paying a lot of vendors, paying a lot of vendors and staff up front, so she’s likely going to have to have a bigger line of credit. So she’s going to have to have a banker to help her with that. Additionally, it’s pretty clear that she’s going to have to hire more people. So if she’s running a $200,000 operation now, and now has to manage this million dollar contract, she’s probably going to have to at least double the size of her staff, if not maybe even triple it depending on how efficient everyone is. So that’s a good amount of people that she’s going to have to hire and she’s just a busy business owner, so she’s going to be too busy to be trying to find those people herself, so she’s going to hire a staffing firm. Now, she has more payroll, she probably has additional accounting and expenses and revenue, all that kind of stuff that she has to worry about, so it’s likely that she may need to bring on additional accounting staff or some sort of payroll company. And now depending on her profit margins, her business is probably doing really, really well- she did just increase it by five times, now she might want to invest a little bit smarter, a little bit more wise. So perhaps she is getting a new financial advisor, or maybe she’s just giving- putting more assets under management with her current financial advisor. Either way, if you look through just this really small example- and there are so many other variables here that are not even factored in, but if we just look at from the fact that she needs a real estate person, an attorney, a banker, a staffing company, perhaps a payroll company, additional accounting, more staff in general so that’s going to be a handful, handful of people involved, and financial advisors perhaps; I counted off eight. That’s eight different types of businesses that are going to get a significant amount of business as a result of her large contract, in addition to the five or ten people that she’s going to have to hire to help manage this contract. So we’re looking at a number between like eight and twenty businesses or individuals who have a direct result- a direct impact on this $1 million contract that she just procured through the supplier diversity initiative. So I want you to think about that just for a couple of minutes. Just think and sit and say to yourself, ‘Where in that cascading effect do I fall in? What is my business and where might I might be able to take advantage of those opportunities?’ You could have a really small bookkeeping company right now, and you could still benefit from it because you could be that bookkeeper under that additional accounting that has to come as a result of this big contract. Or perhaps we need a mortgage broker in this thing. So there’s a lot of different ways- or even a travel- so say you’re a travel person. Monica and her spouse are going to need a vacation shortly after managing the rapid growth of their company really quickly; they’re going to need a vacation. So now the travel provider is going to benefit as well. So it really is a full cascading effect of everybody wins when an LGBT supplier wins. And this goes the same way if you’re a woman-owned business, or you’re an African American-owned business; it doesn’t matter what minority group you fall into, everybody wins. Of course I will put the caveat on this, is that this is a very simplified view of things, and there are many, many moving parts and logistics and all that kind of great stuff as it relates to supplier diversity. But I wanted to give you a brief overview before getting in too deep of just how your business, regardless of what your business is, whether you are or are not part of the LGBT community, that you will get access and you will get opportunities as a result of the supplier diversity initiative. Given that this is such a meaty topic, and this is kind of like a crash course into how you can gain opportunities as a result of supplier diversity, I would really encourage you to reach out to me. I would love to hear if you have questions about this, if something just doesn’t make sense, if maybe I explained something but I didn’t quite do it right; I’d really love to hear from you. 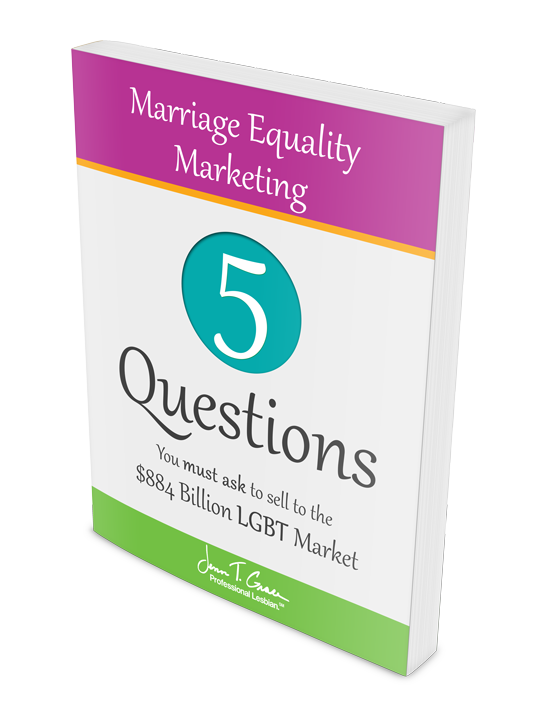 Additionally if you are an LGBT-owned business, and you have learned through that interview that I shared with you, that you have to be 51% owned, operated, managed and controlled by that particular minority group. So in this case LGBT; so you’d have to be the owner, operator, manager and controlling the business by 51%. If you own it with your spouse then obviously you’re both part of the LGBT community, and then that would be 100% owned. Either way, you would be eligible to be a certified business.  So if you are confused as to what that process looks like, by all means please head over to the NGLCC’s website, it’s www.NGLCC.org. They are the originators of the LGBT supplier diversity initiative, they are the ones that you must go through to do this. If you would prefer an introduction to them I’d be more than happy to do that for you. So that basically covers episode number 56. I’m sure this was a lot of information thrown out at you, I’m trying to really make it as digestible as possible. So as I said, if you have any particular questions, feel free to either leave a comment here, or send me an email; whatever your preference is, I’m more than happy to explain it as best as I can. So as always, thank you so much for listening to the show, I really appreciate your listenership, and I do look forward to talking with you again in episode number 57. Have a great one, and I’ll talk to you soon. Bye bye.